I had no idea that this "bar" was huge but it's a great size! 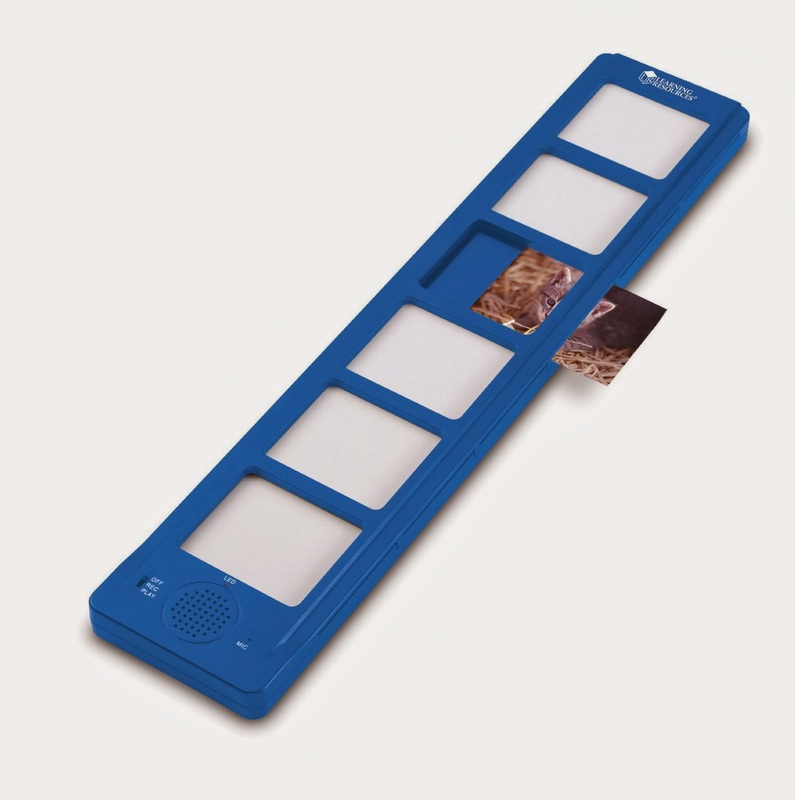 The slots accommodate 3x5 index cards and you can put any picture in there and you can use it to help a child sequence out his story. Instead of erasing, if he messes up, he can just press a button and re-record. He can play a sequence of six "sayings." Each button is only ten-seconds long for recording and so a child has to talk fast if he wants to get a lot in. This is motivating for some children. But even if it wasn't, you can opt not to put the pressure on and use those ten seconds more thoughtfully and slowly as well. This is really really really great and I hope to do a more in depth review. If you want that, please leave me a comment in the Disqus comment box. I will see it. Or you can drop me a note at my Facebook page. I have already purchased Tiggly for my nephew and I'm not sure what you'll think of me but I totally opened it and started playing with it. ARGH! My kids did too and they got their big kid grubby hands all over it and so I had to put it away. Will report on this as soon as I get my own Tiggly. But I DID play with it and #1 and #2 (9 and 6, thus not the appropriate age but always willing to regress in the name of iPad) love Tiggly. This might look super simple to you but not every kid easily understands that the world is made of all different kinds of shapes. It's such a wonderful way to teach the principles of drawing and you don't even need a pencil! Tiggly was one of only three chosen to present at EdLab DEMO Night at Columbia University last week. Yours truly was invited to go and I was really excited to share what I learned with you but... I had family stuff come up at the last minute (of course...) Check out links to Tiggly and the two other companies here. BTW, EdLab is super. Check out what they're doing here. Tech + Teaching = The Future. Here are other major favorites from Different Roads to Learning, but first why buy from there? I bring you good news from the land of toys! 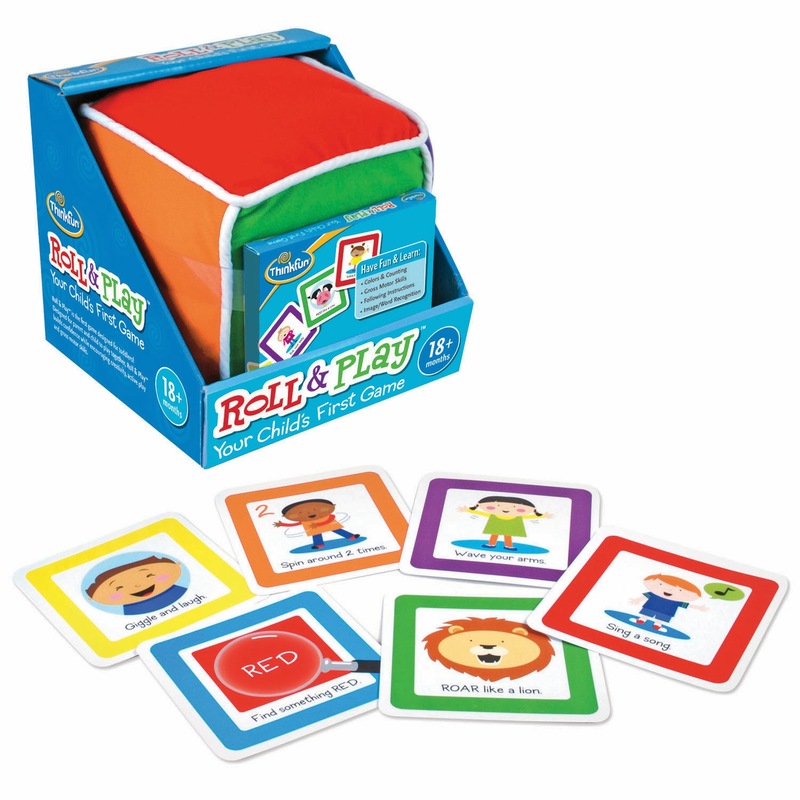 This year, parents of toddlers are lucky because ThinkFun, one of my favorite toy companies created Roll and Play, an interactive non-competitive game that is specifically designed for kids ages 18-36 months. 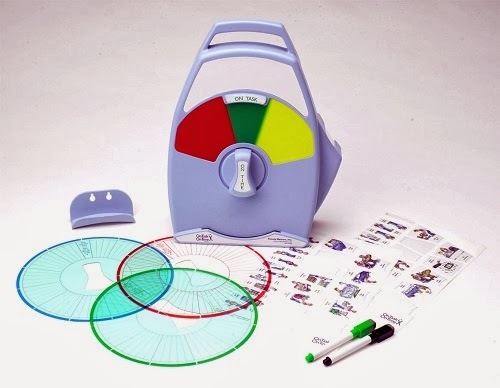 Frankly, I am kind of bummed because my kids are beyond this stage now and looking back, I think we could have made great use of this game. 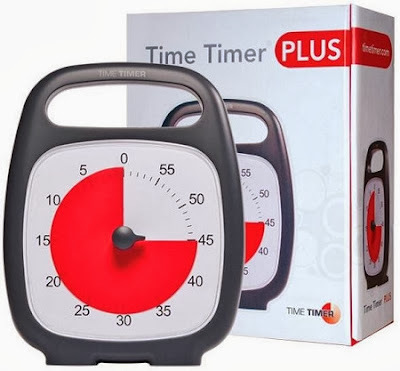 I love my Plus. The newest addition to the family. It is tough enough for my kids! Adjustable volume, better functioning dial and they can't touch the disc. PERFECT. Partial review here. Stained, not painted. 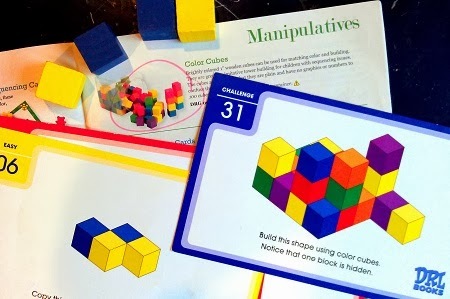 1 inch wooden cubes are perfect for encouraging the three jaw chuck- the grasp most efficient for handwriting. Until I discovered this store, I had to make my own, by hacking foam blocks, and I cut myself doing that... sigh..... Get the corresponding cube pattern design cards. 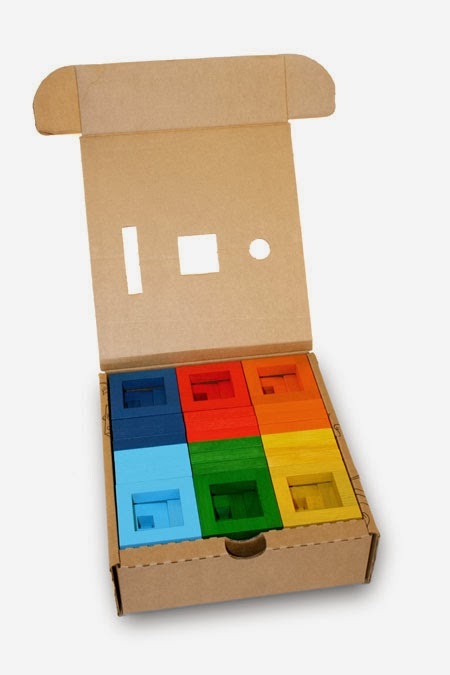 ($9.95) This is awesome for visual spatial thinking, hand-eye coordination, visual closure, pattern recognition. It's more than a tub of blocks. Read what I wrote about it in my story at Quartz. Why is articulation important? Of course there are plenty of reasons but have you considered spelling? That is what my fave speech and language pathologist advised me. Nicole Kolenda told me that if a child is continuously mispronouncing a word, how could we expect the child to be able to spell it. When they are little, we are told not to correct their pronunciation. I can understand that. But we are never told at what age we are supposed to START correcting them. When you feel it's time, the MeCorder is terrific! There are so many uses for this! Partial review here. Love this! And I'm wearing mine right now. I met a deadline today thanks to it! Kids can use this too! My full review here. Love the On-Task On-Time Timer. Simple inventions are the smartest! My full review here. I love this toy. I gave it to my son's music teacher last year. I miss it. You think this is easy, trying to find the correct shape to match the tile. Well, maybe if you see it but can you feel it out in a bag? Try it. It's such a good toy. My full review here. Don't forget to use my links to support thoughtful toy reviews. We all need good information to make the best choices for our kids. Disclosure: Toys are Tools was not compensated by the manufacturer for the publication of this review. The reviewed items were provided to Toys are Tools to facilitate a review. Reviews are never promised. 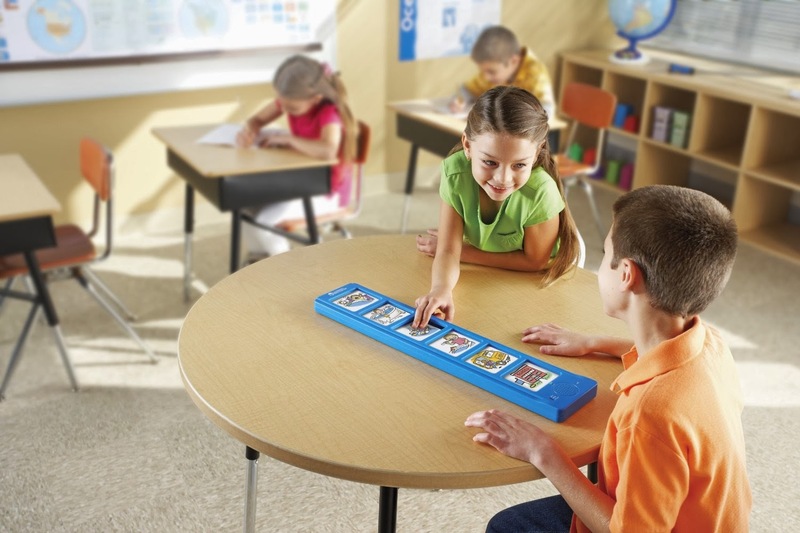 Toys Are Tools is also a very very very proud affiliate of Different Roads to Learning. Purchasing a product after clicking onto one of my links may result in an actual commission being paid to me at no additional cost to you! Isn't that super? If you do make a purchase, I hope you will use the links above. Thanks!